This videoprojectors are recommended for big images and for videoprojections in meeting rooms and in small or big spaces not completely obscured. Many of them allow to change the lens adapting the projection to the screen size from the different distances. Some of them have up to 4 projection lamps controlled two by two. This kind of videoprojectors are the most powerful (up 20.000 Ansilumen). The opposite of the long throw lenses are the short throw lenses. They are used expecially in rear projections and in the cases when the spaces available are very small. 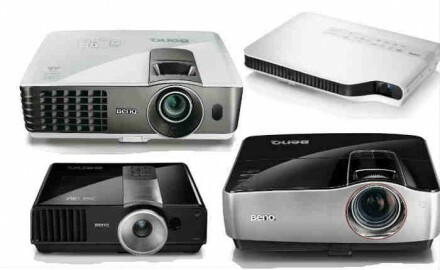 The "business videoprojectors" category are normally used in a small meeting. They can also be moved fast because they are smaller and lighter than the professionals powerful ones.